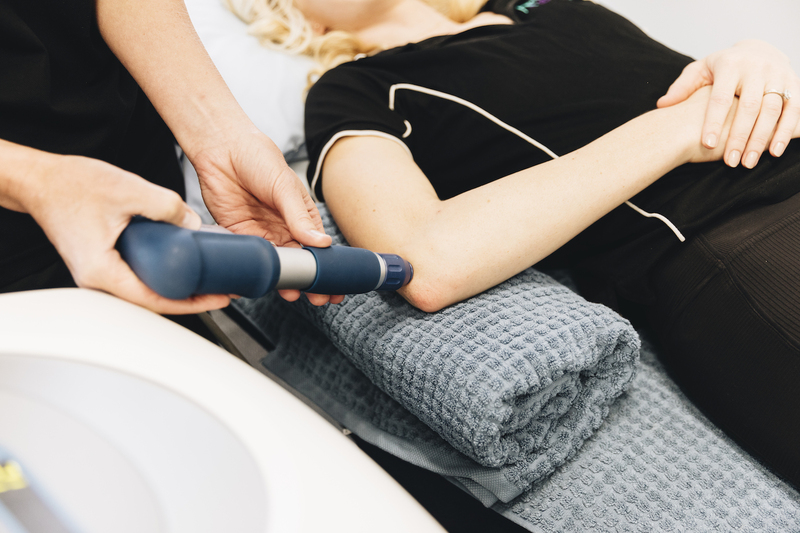 Shockwave therapy (ESWT)-is proving to be an effective treatment for chronic tendon injuries in the shoulder, elbow, hip, hamstrings, knee, Achilles tendon, and foot. Tendinopathies are usually associated with overuse in sport or work. The aging population is also more prone to tendon tears and tendinopathies as their tissues become more fragile and the circulation to them isn’t what it was when they were younger. Shock Wave Therapy was developed after it was found that patients receiving Extracorporeal Shock-Wave Lithotripsy (ESWL) for kidney stones had improved vascularisation in their kidneys in the area treated. This led to more research and development of shock wave therapy in a milder dose that causes a similar response in more superficial tissue. The theory of the mechanism of shockwave generation in ESWT is to produce interstitial and extracellular responses that lead to tissue regeneration (Ogden, Toth-Kischkaf, et al., 2001). The literature suggests that ESWT provides pain relief through hyperstimulation analgesia, and it has been demonstrated that ESWT acts on the expression of substance P and calcitonin gene-related peptide (CGRP) in the dorsal root ganglion (Melzack, 1979; Takahashi, Wada, Ohtori, Saisu, & Moriya, 2003). ESWT has been shown to stimulate tissue regeneration, and it is suggested that ESWT results in increased collagen production, matrix turnover and increased vascularisation (Bosch et al., 2009; Bosch, van Schie, van de Lest, Barneveld, & van Weeren, 2007; R. W. W. Hsu, Hsu, Tai, & Lee, 2004; C. J. Wang et al., 2003). Our physiotherapists will be providing detailed initial assessments on clients regarding history, view any scans and to ascertain their pain and functional loss and weaknesses. The treatment will then be implemented which usually involves up to 6 sessions with a gap of about 4-7 days between sessions. We will also combine strengthening programmes once pain and function have improved. Many of these conditions are accompanied by poor posture, weak musculature, muscular imbalances or poor technique in sport or occupational tasks. If we don’t correct the underlying cause the condition may recur. 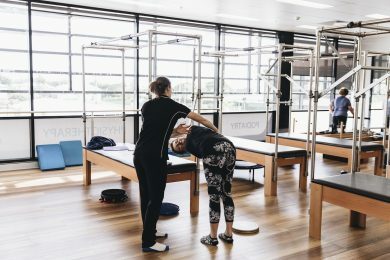 Our in house clinical trial to date have had clients reporting a decrease in pain and especially of note was that they could sleep better as their shoulder or gluteal tendinopathy was not waking them when they rolled on that side. The treatment while ballistic is not painful but more like a rubber band flicking the skin or a strong vibratory sensation. Cancer or any malignant disease - the treatment would not be appropriate in this case.